HMC Dubai is a 501(c)(3) non-profit organization, and it is the only conference of its kind in Dubai. With a 12:1 student-staffer ratio, HMC provides an unparalleled opportunity for its delegates to learn and grow. The mission of HMC Dubai is to provide an unparalleled and immersive educational experience to educate high school students from the Middle East about the processes of government and international relations. 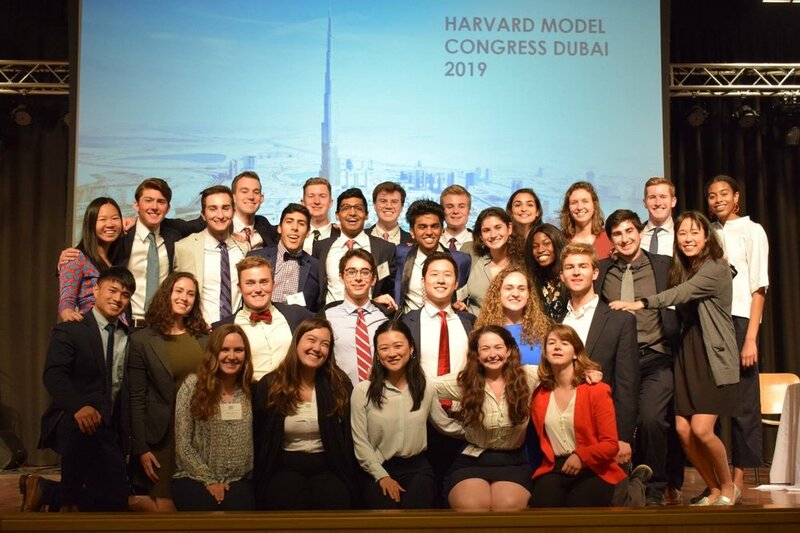 The Harvard Model Congress Dubai 2020 Team is working hard to create a conference that will provide engaging discussion, an opportunity for public speaking, and lifelong memories for thousands of delegates. The Executive Board and staffers of HMC Dubai are all current students at Harvard University. Our Harvard students who served as staffers for the 2019 conference!